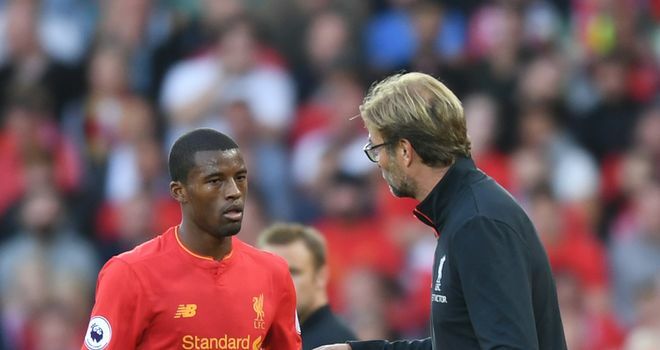 Georginio Wijnaldum says it took him just one meeting with Liverpool boss Jurgen Klopp to decide to move to Anfield last summer. Wijnaldum joined Liverpool from Newcastle United in a £25m deal following the Magpies' relegation from the Premier League. And the Netherlands international, who expects to line up in midfield for the Reds when they take on Swansea City at the Liberty Stadium on Saturday lunch time in a match you can see live on Sky Sports 2 HD, has revealed how Klopp convinced him to join the club. "We had one meeting, which was already convincing, and after that I was with my agent and I said: 'Let's see how serious they are,'" said Wijnaldum in an exclusive interview with Sky Sports. "But we had a meeting on the Sunday and on the Monday they called my agent to make me an offer and they went to Newcastle to make the deal. "So that already gave me a feeling that he [Klopp] really wants me in his team, and that was a great feeling." However, key to persuading Wijnaldum to swap St James' Park for Anfield was Klopp's belief he could make him better as a player. "Before we even had a conversation, he asked me: 'Why were you sitting on the bench last season?' because I had two games I was on the bench last season," he said. "I explained to him and said: 'OK we can now have a conversation.' We talked about football and how he wants to play, how he sees me in his team. "I also had it in my head that I can be much better than right now and I had a feeling that he was the right man to help me with that." 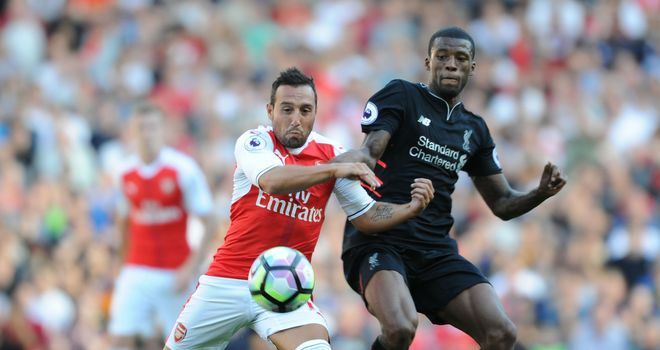 Despite seamlessly settling into life on Merseyside, Wijnaldum - who has started every Premier League matches so far for Liverpool, providing two assists along the way - still thinks he can improve certain aspects of his game. "To be fair, I settled in quite quick, but I am not really happy with my own performances, because I know I can do better," said the Dutchman who captained PSV Eindhoven at the age of just 22 while leading them to their first Eredivisie title for seven years. "I will strive to do better. I am happy with our results and how I played, but not really happy as I know I can do better. "It is also a new position. You play with new players, so those things take time and I think when I know everything good that I have to do, and when I know the players better than I do know, I can achieve more than I have right now." One big difference between playing for Liverpool this campaign and Newcastle last season is the 23-year-old's position. "He [Klopp] does not give you a lot of jobs in the field to do," Wijnaldum says. "He says you have to be free and do the things you can do. "The only thing that is different from my previous club is that I do not play that high up the pitch any more. I play, not a lot deeper, but deeper than before. "At my previous clubs I was the attacking midfielder who went all the time. Now you have Adam Lallana and Jordan Henderson, who can also go all the time, and [James] Milner on the left side, who can also attack. "I have to look at all the players so that when they go, I stay, and that is the big difference that I have." The versatile Dutchman, though, feels his best role is as a No 10. 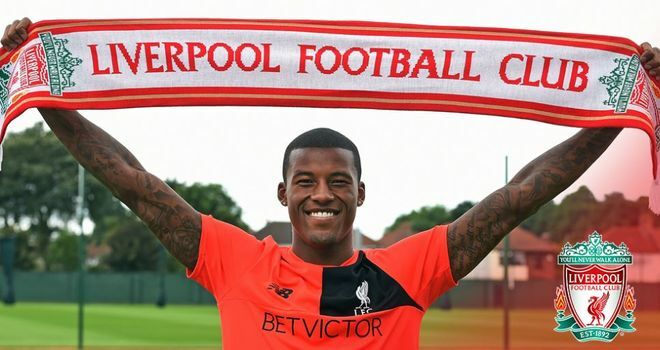 "I can play in a lot of different positions, I can do a lot of things," says Wijnaldum. "At Newcastle, I was playing in the No 10 position, but also in midfield as a left winger. "Whereas this season I play a little bit deeper, and you see other qualities like box to box. I am an all-round player, but I still think my best position is as a No 10, although we do not play like that here. "I am an all-round player, but I still think my best position is as a No 10"
"But I feel comfortable with the way we play right now as he gives me the freedom to go." Wijnaldum may have been criticised in some quarters for his lacklustre displays away from home for Newcastle last season, although the midfielder still managed 11 goals for a struggling team. And that included scoring four times in Newcastle's 6-2 demolition of Norwich City at St James' last October, a feat the player thinks he can repeat for Liverpool. "To be fair, I think and believe I can do it again, because I did it at Feyenoord, unfortunately not at PSV - I got three goals in a game there - and I am a player that can do that," he says. "Of course I need help from my team-mates, which is why I would never say I can do it by myself, and yet I have to score the goals. "I think I had two or three assists for Moussa Sissoko, so you need your team-mates to create chances and at the end you have to do it yourself, scoring goals. "If a team helps me to get in the positions, I can deliver, that is the confidence I have that I can do it. And every time I believe I can do it again." Looking ahead to this season, however, the always-smiling Dutchman is confident his new side can achieve great things after their impressive start to the campaign. "If I do not score goals and we win a lot of games and I help the team to win a lot of games, then that is also good," Wijnaldum says. "We go hard now, we win a lot of games, also against big opponents, but it is difficult to say [what would represent a good season]. "We must go game by game and at the end, we will see where we stand. If we carry on the way we are doing right now, we can achieve beautiful and big things. "And I have faith in the team, the club and the manager and I think we can have a great season, but it is difficult to say what is going to be a good season as anything can happen. "Last season they had 63 games with a small squad, then it is difficult to achieve great things, because at the end of the season you will be tired if you always play with the same players. "We have to look at how the season will go, we have to end high in the ranking, that is for sure." Unai Emery responds to questions about whether Aaron Ramsey will play for Arsenal again, after he was forced off with injury against Napoli.